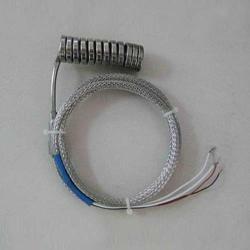 We are engaged in offering a very high quality range of Coil Heater. Our range is appreciated by the client across the country. These heaters have wide contact surface, which results in exceptionally high levels of thermal conductivity. Available at market leading price. Hot Runner Coil Heater is a development idea of thermal engineering which has a development like high watt density cartridge heaters. 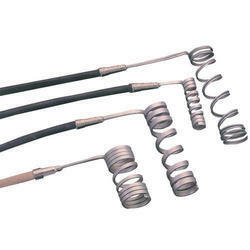 This Hot Runner Coil Heater is also called high execution tubular heaters or cable heaters. The essential development of Hot Runner Heater comprises of compacted MgO, high-temperature safety wire, and Chrome Nickel Steel tube. These coil heaters are developed with or without inherent thermocouples. They are generally introduced where space accessible for warming is restricted. These Heaters can without much of a stretch bear high wattage in standard sizes. They are fabricated utilizing top notch crude material and propelled engineering. Our warmers are accessible in standard size with the greatest heat transferring characteristic. Looking for Coil Heater ?